Yes, its the augmented reality Glasses similar to Google glasses. 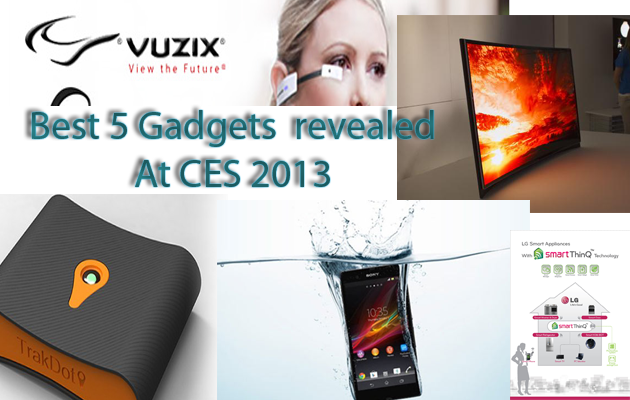 Its the best Gadget Vuzix showed off at CES 2013. Vuzix Smart Glasses M100 provides hands-free calling, photography, web browsing, and SMS messaging..also Navigation. Its powered by 1GB of RAM and a OMAP4430 1GHz processor along with 4 GB onboard Storage. Vuzix hopes to have the glasses available by this summer for Android and iOS for around $500. 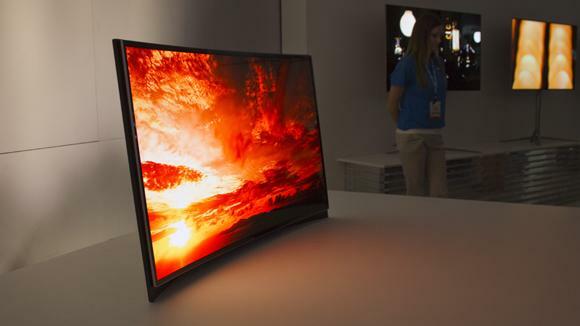 Samsung displayed the world’s first curved 55-inch OLED TV at CES on Tuesday. Considered the future of consumer electronics displays, the OLED technology is more energy-efficient and offers higher-contrast images than liquid crystal display. Samsung’s Curved OLED is just a concept right now, with no plans to bring it to market at the moment. LG also introduced Curved OLED TV at CES 2013. Lost your bag at Airport, Rly Station or at any place ?track your bag with Trakdot. 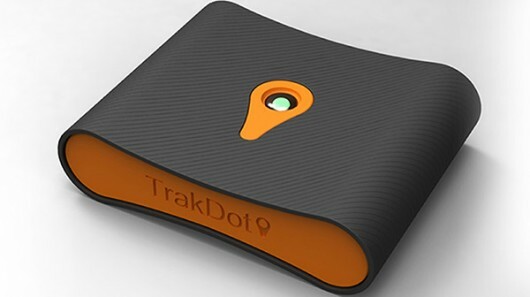 The Trakdot Luggage tracker from GlobaTrac LLC acts like a homing beacon to monitor and locate your bags anywhere in the world in real time, with almost any mobile device. Sony’s flagship phone for 2013, the Xperia Z, comes with a 5-inch HD display, runs a version of Android 4.1, and is only 7.9mm thick. The smartphone has 2GB RAM and up to 16GB of memory space. This is expanable to 32GB via a microSD card slot. 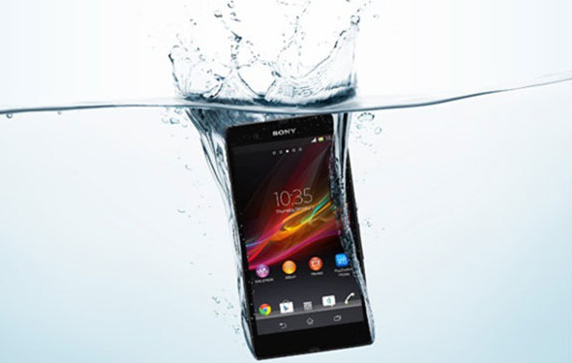 Perhaps the most interesting and unusual feature of the Xperia Z is its water-resistant construction: Sony claims the phone can withstand being submerged in a meter of water for as much as 30 minutes at a time. 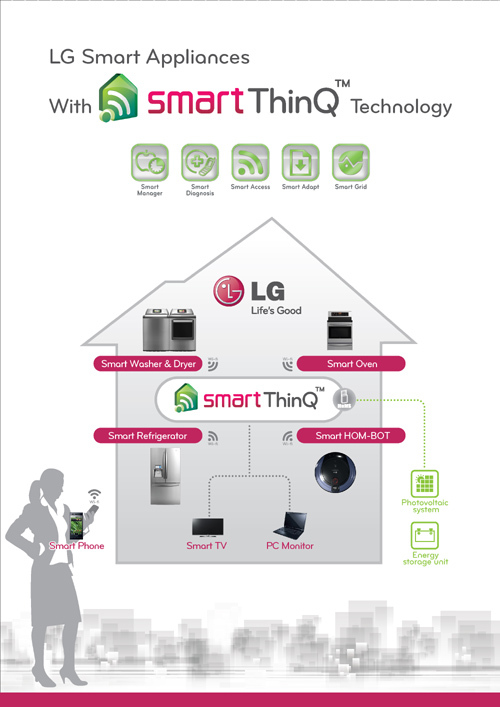 At CES 2013 LG showcased smart home technology appliances. Include connected washers and dryers, refrigerators, an oven, and the next-gen version of LG’s HOM-BOT vacuum – All of which are fully controllable using a user’s Android device by scanning an NFC Tag-on symbol found on the appliance. That’s it from here. Some more articles like best 4 tv’s at CES 2013 will be coming your way. Checkout: What’s New In NVIDIA Tegra 4? What Is HDMI And How’s It Different?